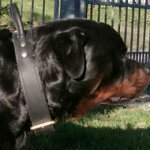 Which Chain Dog Collar to Choose - Stainless Steel or Curogan? 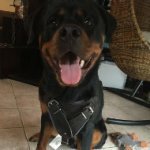 Choke chain collar for dogs is intended for behavior training and correction. 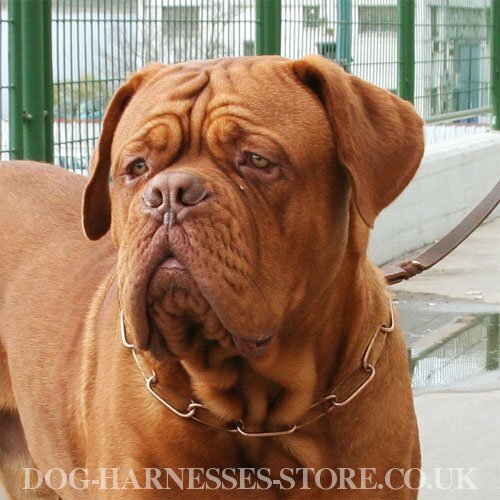 A chain is tightened around the dog's neck when it pulls on a leash or misbehaves. The collar action is based on natural dog living conditions, when mother presses its neck slightly with her teeth. 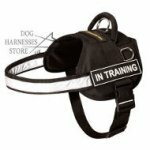 Thus, dog choke chain training collar is safe and harmless when produced by professionals. 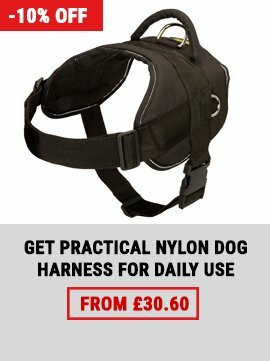 Remember that properly used chain collar won't hurt the dog! 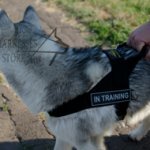 Use it only for training sessions if the dog is aggressive or has behavioral problems. 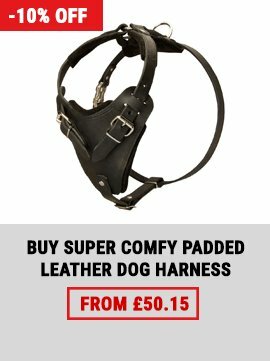 What metal is the most suitable for chain collar? Stainless steel and curogan are the best ones for such collars. Let's find out which chain choker to choose. 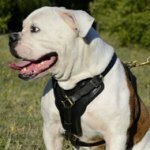 Stainless steel dog choke collar is rust-resistant. This is the advantage of the accessory. 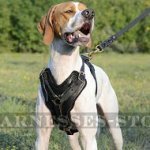 Wet, rainy weather or water won't spoil the collar. The dog can even swim with the chain on and it won't lose its luster or become rusty. This means the chain will serve your pet for a long time and will stay shiny. 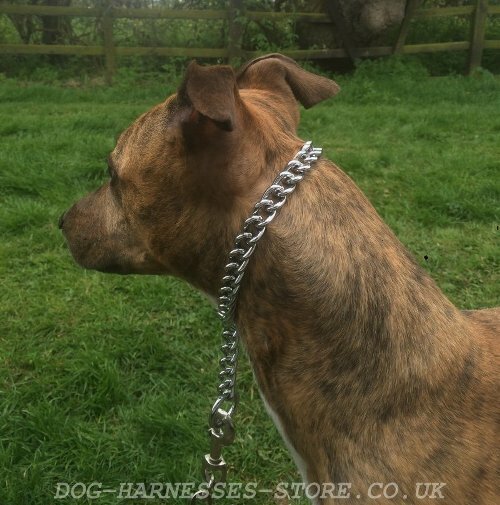 Chain collar of stainless steel is extra durable and tear-resistant. Every link is highly-polished, welded and won't break. There are two O-rings on both ends of the collar. 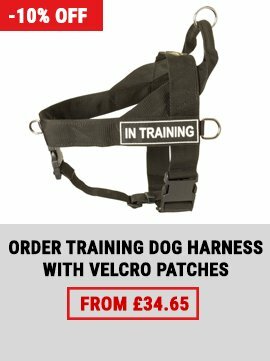 A loose one slides along the chain and tightens the dog's neck when you jerk the lead. A dead ring serves for leash fastening. 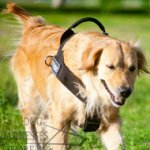 You can also attach the leash to the loose ring and the collar will turn into a usual walking tool. There is a one nuance of stainless steel chain use. 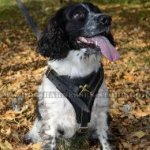 If your dog has sensitive or allergic skin, it is better to choose the collar of curogan. Curogan is the alloy of copper and tin. It contains no nickel that makes curogan dog collars hypoallergic and dog health friendly. Curogan considered the safest alloy and recommended by vets for dogs with delicate skin. 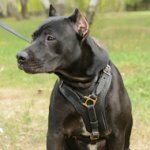 Chain collar of curogan doesn't color dog coat. 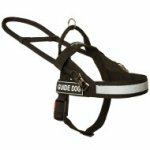 It is ideal for dogs with light and white hair. However, it may color coat of some dogs. 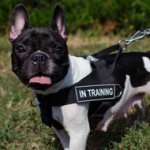 This is connected with a great many of factors and slight changes in dog organism also. 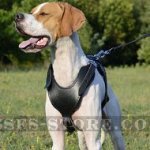 Curogan dog collar is very attractive because of high copper content. The dog will have stylish look with such a chain on. 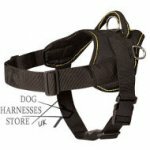 The collar of curogan is also strong and break-resistant. All the links are welded and high-tensile. Each end of the chain is fitted with O-ring. A loose ring serves for collar tightening and a fixed one - for lead attachment. The chain is also used as a walking attribute if to fasten the leash to it. 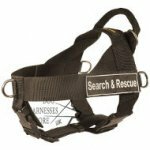 Both collars are equally functional and reliable in use. It depends on your taste and your dog's skin which one to choose. Please, write us if you have any questions.